Currently residing in Dallas Fort Worth, Chris Mattaliano is a Suzuki Strings Specialist for the Hurst Euless Bedford Independent School District, maintaining a private Suzuki studio of over 50 students, ages 5-12. As a performer in Texas, Mattaliano has appeared as a soloist with the Texas Chamber Music Project in many venues, and has served as concertmaster since the 2017-2018 season. Chris has distinguished himself as a music educator, presenting multiple sessions at the 2018 Suzuki Association of the Americas Conference in Minneapolis, and currently serves as Vice President of the North Texas Suzuki Association. With a passion for arts administration, Mattaliano is on the Executive Board of Directors, and the Board of Directors of several orchestras in the Dallas-Fort Worth Metroplex. 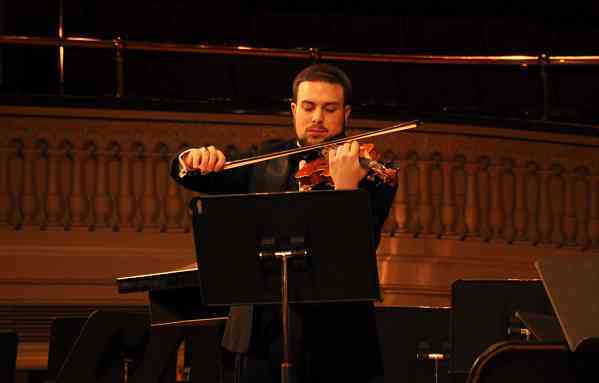 Mattaliano started his studies in violin at the age of 4, and holds two degrees from Ithaca College and a dual masters degree from the University of Minnesota in violin performance and Suzuki pedagogy. While completing his studies, Mattaliano held principle and concert master chairs of the University of Minnesota Symphony Orchestra for several projects. In his spare time, Chris enjoys playing chamber music, going to concerts, and dancing with his wife.